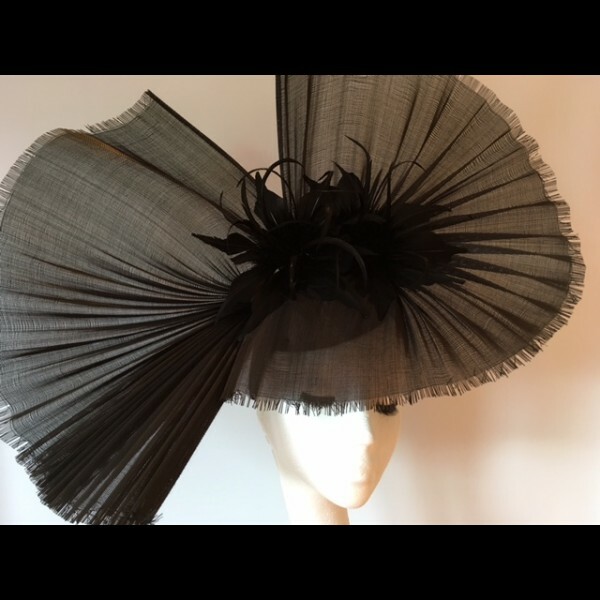 This is a very large headpiece - originally from Snoxell's but it has had the 'Gorgeous & Glorious' touch added to it. In Black Jinsin with black feather flowers. 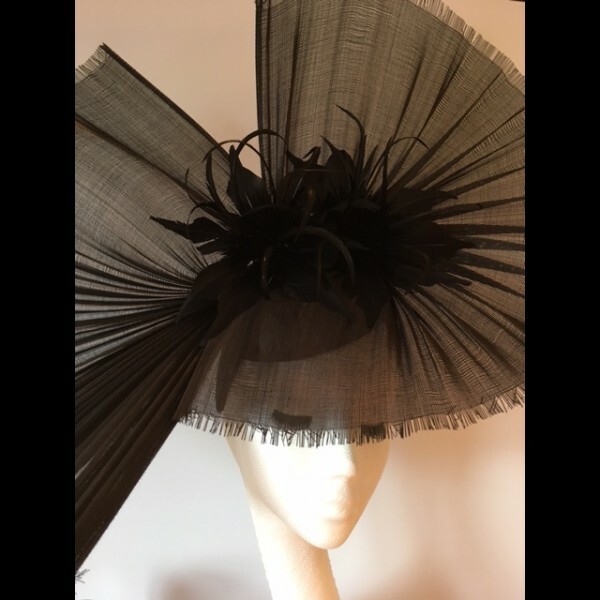 A very large headpiece, perfect for making a statement at Royal Ascot. 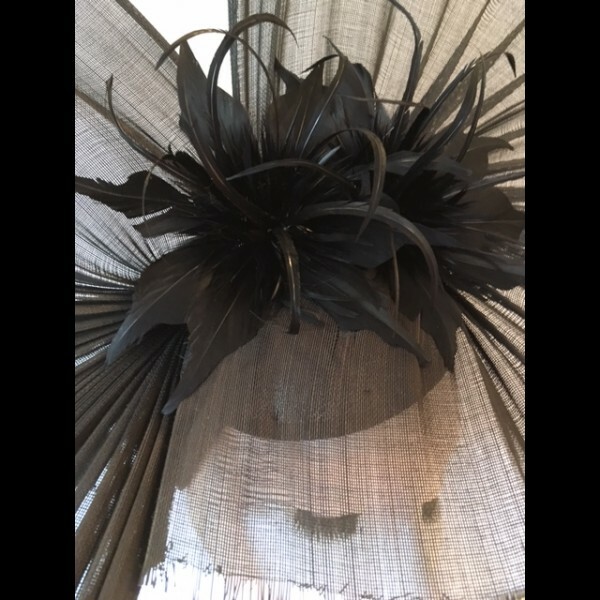 In black jinsin with two stunning black feather flowers. Mounted on a double headband as this headpiece needs support !